Papa Roach’s latest offering Crooked Teeth was probably my most anticipated album of 2017 and my excitement grew when the title track and “Help” were released at the back end of 2016 and the start of 2017. 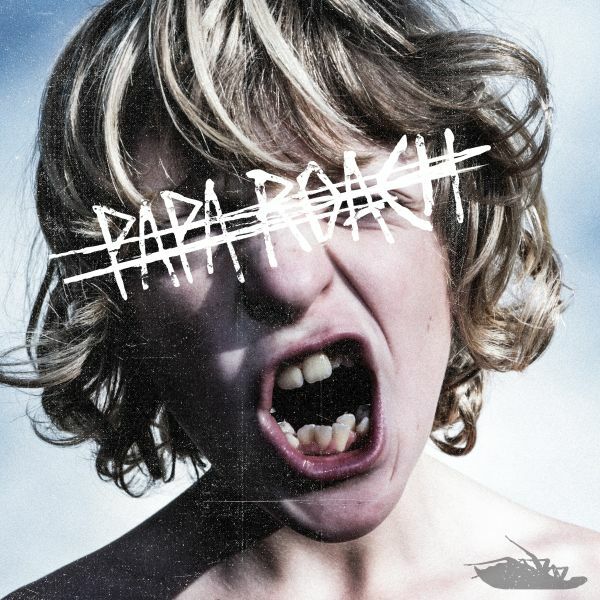 When the full album finally arrived in May it did not disappoint, delivering the perfect mix of rock/rap tracks that Papa Roach have become known for over the years such as “Crooked Teeth” and “Traumatic”. These are contrasted perfectly by the more melodic “Periscope” which features the amazing vocals of Skylar Grey, and the thought-provoking lyrics of “Sunrise Trailer Park”. My personal favourite track on the album is “American Dreams” which takes a look at the sorry state of modern society which you can’t help but feel is based on recent political events on the other side of the Atlantic. Overall this is an energetic and relevant album for 2017 which is a skill for a band that have been around since 1993. I Prevail are a band that I discovered earlier this year, not through their own music but through their Punk Goes Pop cover of Taylor Swift’s song “Blank Space”. Having been instantly blown away by what they did to this pop song I checked out their debut album Lifelines and was equally impressed. Tracks such as “Scars” and “Stuck In Your Head” were instant favourites of mine and they have been on repeat ever since the first play. I Prevail are certainly on the list of bands I would like to see live in the near future, although with photos of singer Brian Burkheiser undergoing vocal chord surgery being shared on Facebook in the past few weeks, a UK tour may be a further away than I was hoping for. The best show of the year for me was one that was totally unexpected, although having seen Skindred a few years earlier at a festival I knew it was going to be a fun night. Having never heard of the Picturedrome venue or the small town of Holmfirth where it is located I was unsure whether many Skindred fans would make the trip to the snow-covered Pennine town back in in February, but the venue was very nearly at capacity by the time Benji Webbe entered the stage doing his best robot walk. The support bands Raging Speedhorn and RSJ definitely got things heated up inside the former cinema and the excitement built for the headliners. Skindred blew the roof off this tiny venue in the middle of nowhere treating fans to all the best Skindred songs such as “State Of Emergency”, “Nobody” and “Kill The Power”. As usual with any Skindred gig all fans had arrived wearing an extra layer of clothing so they could participate in the Newport Helicopter during “Warning” which was the final song of the night. Skindred put on such an energetic show regardless of the size of the crowd they are playing to, however being at such an intimate venue just felt so much more special than where I have seen them previously. The best thing to happen during 2017 is a tough choice between two big events in my gig photographer journey. This year, after doing gig photography for a couple of years, I was finally able to get my first photo pass for an arena gig, this was for A Day To Remember back in January at the First Direct Arena in Leeds. The lighting was mind-blowingly good compared to some of the smaller venues that I have become used to photographing. Despite being a big moment I think the first arena show has just been beaten to the award of best thing that happened in 2017 by getting the opportunity to snap Good Charlotte in early December at the Manchester Academy. Having been a huge fan of the band ever since hearing “Lifestyles Of The Rich and Famous” way back in 2002, I have to admit that it was hard work to concentrate on taking photos of Joel, Benji and crew rather than signing along to the classics of “The Anthem”, “The Story of My Old Man” and “My Bloody Valentine” while I was in the photo pit. 2017 has been another year of huge losses in the rock/metal industry. The biggest shock to myself had to be the suicide of Linkin Park frontman Chester Bennington, as I have been a huge fan of the band every since getting my hands on the Meteora album back in my early teens. 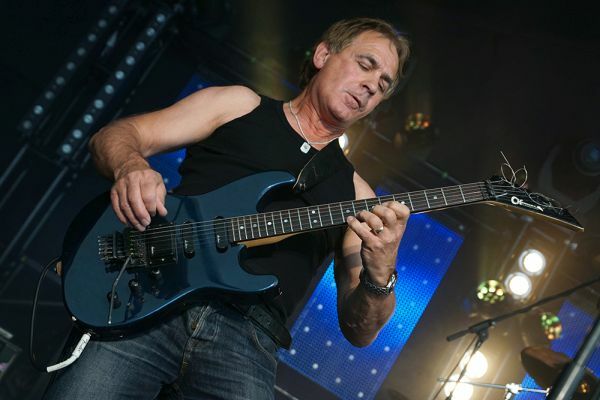 On a much more personal level the worst thing to happen this year happened when I was photographing the local music festival Bands on the Square in my hometown of Barnoldswick in Lancashire, when local guitarist legend Allan Parkinson from the band Dark Horse collapsed on stage and sadly passed away. The following day of the festival was dedicated to Allan’s memory and saw his fellow musicians and friends come together to give Allan a fitting musical send off. To the side is a photo I took of Allan at Bands on the Square in 2016. Having had the chance to photograph some amazing bands this year, picking just one favourite photo would have been tricky for me, so I did a top five instead. Having set myself the goal of covering as many gigs and festivals as possible in 2018, I am looking forward to spending way more time at some of the amazing venues across the country, seeing and photographing some of my favourite bands. Already on my list of bands who are touring next year that I’m hoping to get the chance to see are Hollywood Undead, Bowling for Soup and one that may split opinions… Nickelback. Hopefully see you in a photo pit very soon!